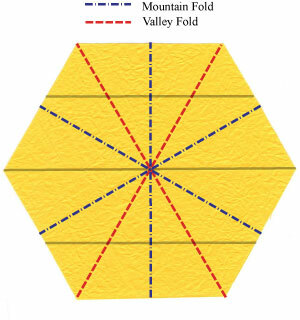 Apply the valley-fold of the step #2. There are eight crease lines. 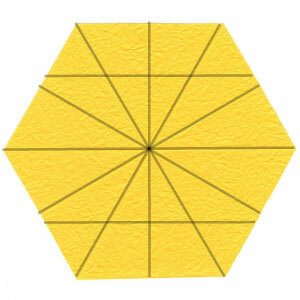 Prepare to apply the crease pattern (CP) on the left	.